Insider theft has been around as long as financial institutions have existed. Banks, card issuers, retailers and payment processors--all are attractive targets for breaches. 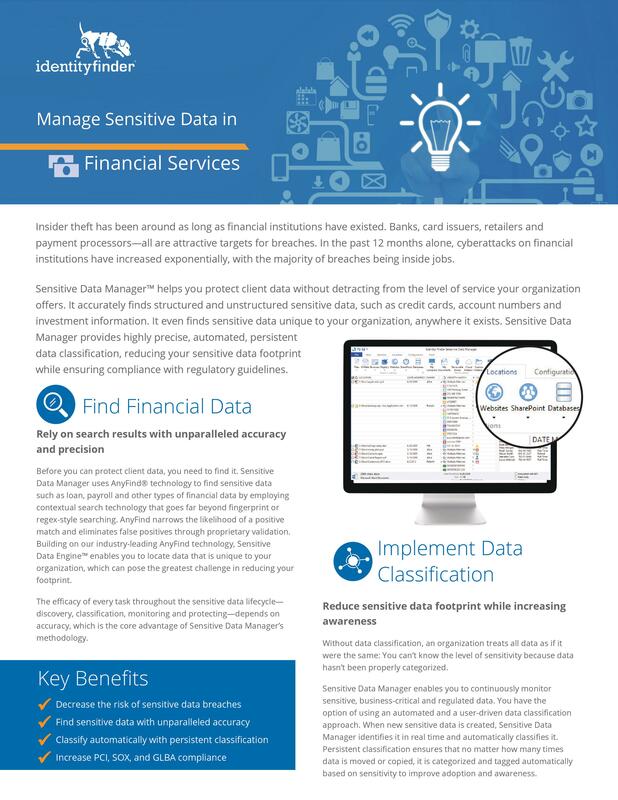 Sensitive Data Manager helps you protect financial data without detracting from the level of service your organization offers. Please complete the form below to download this data sheet. Copyright © 2001 - 2018 Spirion, LLC. All Rights Reserved.